Whether youre raising fish or watering livestock, one thing is beyond question. Pond liners dont always make it through the winter. The chief reason for a short life is often the formation of ice. Its natural and forced movements have the potential to rip pond liners in half or at the very least, leave abrasions in its place. Accordingly, precautions must be taken well before the thermometers liquid makes its downward climb. Adding movement to the water, whether via a bubbler or float ball, is one option if the pond is being used for fish. These options may not work in the case of livestock as they may choose to chew on whatever action generating device is left in place. Accidental consumption issues also tend to eliminate the possibility of using chemical deicers, which could sicken thirsty land mammals as well as resident fish. Heaters often work well for both fish and mammals, just so long as the water doesnt get hot enough to degrade the pond liner. Pond liners that are not equipped to withstand heat have just as much chance as breaking open as those that are not well-suited for the cold. And air pillows dont always work either. They could deflate in the cold or rupture, just like the pond liners. As such, the best way to prevent winter disasters is to buy pond liners that are 30 mil or more. They tend to be thick enough to take a beating from both ice and winter traffic. Also, buyers should note the liners grab tensile, tongue tear and burst strength too. Theyll all factor into a ponds ability to maintain its integrity throughout an entire winter. To learn more about how they factor into the equation and ensure that your propertys ponds remain operational this year, please contact us now. This entry was posted in pond liners and tagged pond liners on December 15, 2016 by Canopies Tarps. 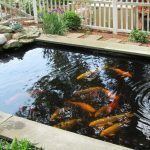 If you are thinking about creating a koi pond in your backyard so that you can enjoy these beautiful fish, you might be putting a lot of effort into picking things like the individual fish that you want, the plants that you will be planting in and around your pond and the shape of the pond itself. However, one part of the process that might not be quite so fun to plan for — but that is incredibly important — is the pond liner itself. 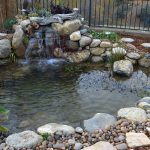 Sure, it might not be quite as much fun to shop for a plastic pond liner as it is to look at beautiful fish in all different colors and patterns, and planning for flowers can be a lot more fun than looking at the actual logistics of your koi pond. 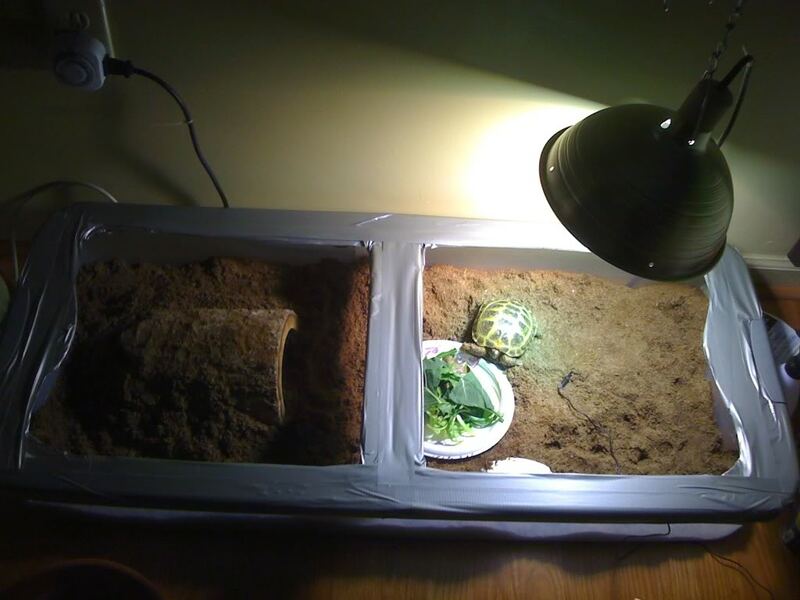 However, the pond liner is arguably the most important part. With the right pond liner, you can help protect your koi pond from the dirt, rock and other debris below. This can help keep your pond cleaner, and the right pond liner will also be easy for you to clean of algae and other not-so-pleasant surfaces. Additionally, the right pond liner will help prevent leaks in your koi pond. From small leaks to major ones that can drain your pond in no time, a leak is the last thing that you want to have to deal with if you want to keep your koi fish happy and healthy. 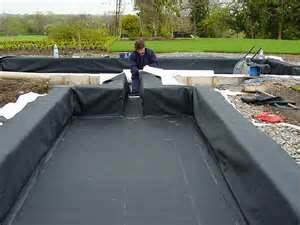 If you are looking for high-quality pond liners that you can count on for your new fish pond, contact us at CanopiesAndTarps today. This entry was posted in pond liners and tagged pond liners on September 29, 2016 by Canopies Tarps. Did You Know That Worn Pond liners May Be Recycled to Make Small Habitats? 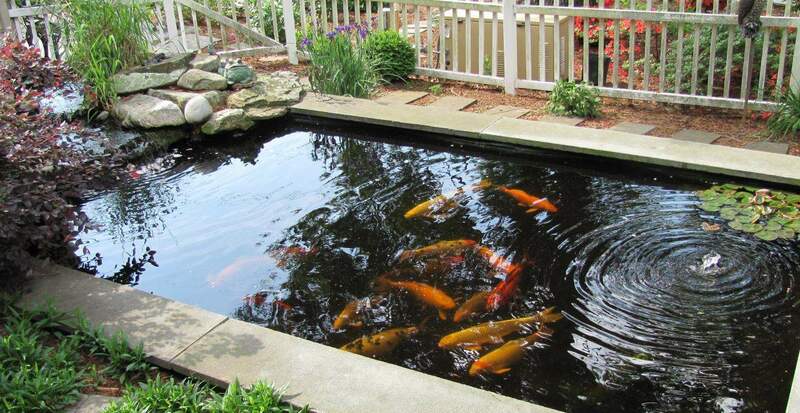 The life expectancy of pond liners is determinant on a number of things. The good ones may last several decades whereas poor quality liners may disintegrate in one or two years. In addition, given the circumstances, they may not wear evenly. The good news is when they dont wear uniformly; used pond liners may be recycled in several ways. For example, they could be cut and used as ground covers for camping tents or childrens sand piles. Theyd also make excellent drop cloths, weed barriers and makeshift tarps. In addition, some folks combine them with recycled tires to make decorative ponds and frog habitats. Its an easy project that typically starts with a punctured or worn tire from a car, truck, tractor or recreational vehicle. First, clean the tire off and take measurements. Then situate it in the area where youd like a decorative, water feature or habitat. Next, locate the best sections of your used pond liner and cut it to exceed that of the discarded tires circumference. It should run over the tires outer edge and wrap back around, ending up underneath of it. That way, it wont collapse when the water is added. Once the used pond liner is in place, go ahead and select river rocks or pavers to go around the repurposed tire. Stack the rocks or pavers in a way that completely obscures the tires sides and top edge. Depending on the tires size and that of the rocks, finishing the job may require some quick-setting cement or mortar. If it does, be sure to allow sufficient time for curing. After the rocks have been set, fill the tires lined recess with fresh water. Then add aquatic plants and any amphibians as desired. 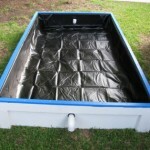 For more information on fun ways to recycle used pond liners, please contact us today. This entry was posted in pond liners and tagged pond liners on August 3, 2016 by Canopies Tarps. 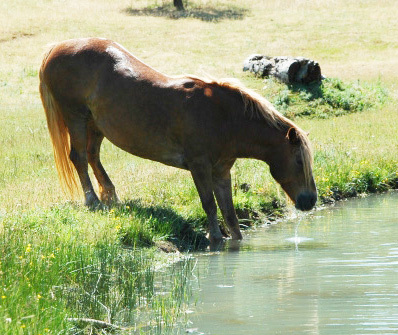 For centuries, horses have made their way to fresh water ponds to wet their parched throats. So its not unusual for equestrians to consider adding containment ponds to their acreage. However, just like any other task undertaken in the name of these four-legged beauties, it pays to research pond liners first. Why research which ones are right for equestrian centers or private estates? For one, the health of the horses depends on it. For example, inferior pond liners could leech chemicals into the horses drinking water. In addition, fragments of broken liner could end up in their digestive systems or get tangled in their hooves. Also, the horses could damage the pond liners with their teeth, body weight and hooves as well. So any pond liner meant for use around horses will obviously have to be tough and safe for contact with livestock. Plus, there is the issue of blue-green algae. 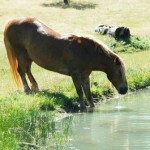 What does blue-green algae have to do with horses watering holes and pond liners? As an Agri-View news article noted, it could form when equestrians least expect it and thats a problem. Why? Like other forms of aquatic life, it could be harmful if ingested. And once the water has been contaminated, it may be necessary to replace the pond liner. This is certainly true of cheap liners that allow fungi and other materials to colonize on their respective surfaces. If pond liners become covered with toxins, professional cleaning may be an option. However, many equestrians dont want to take the risk of missing some of the microorganisms, which could lead to future blooms. So they opt to buy 30 mil liners from us and just discard the old, colonized ones. To learn more about replacing pond liners after algae blooms or other potentially problematic events, please contact us today. This entry was posted in pond liners and tagged pond liners on April 25, 2016 by Canopies Tarps. Can Vietnamese Herbs Thrive When Planted Directly on Top of Pond Liners? As you are contemplating which vegetation to pair with your pond liner covered shelves, dont forget about Vietnamese herbs. Some of them grow very well in aquatic environments and may be periodically plucked for use in the kitchen. That said, one perennial herb to definitely consider planting this spring is Persicaria odorata. Considered a critical ingredient in many Asian dishes, it traditionally thrives in damp soil and makes an excellent addition to a ponds shallow areas. The herbaceous plant is a creeper that may reach heights in excess of a foot. It boasts dark, rather slender, aromatic leaves and lovely, red stems year round. So there will always be some color around the ponds perimeter. Plus, under certain conditions, some varieties will also flower. Consequently, theyll attract beneficial insects (e.g. honey bees) to the pond that are looking for a snack. Of course if that is a personal goal of yours, its a good idea to plant more than flowering, Vietnamese mint along the ponds shoreline. Such actions will ensure that a sufficient supply of food is readily available for the bees all season long. Also keep in mind that Vietnamese mint has a tendency to spread quickly. As such, it may be easier to plant it right on top of pond liners as opposed to putting starter plants in to pots. If you choose to let the roots grow directly on top of the pond liner, be sure to add enough planting medium to keep the individual plants healthy. Your local, Vietnamese herb dealer should be able to make depth suggestions. Oftentimes, a hefty mixture of fine sand, sinkable compost and heavy loam is sufficient to enough to give the roots a head start. Just take care to ensure youre using an abrasion, tear and chemical resistant pond liner. Otherwise, the planting medium and Vietnamese mints roots may break through. To learn more about planting around pond liners, please contact us. This entry was posted in pond liners and tagged pond liners on March 15, 2016 by Canopies Tarps. Do Premium Pond Liners and Verdant, Vegetation Shelves Go Well Together? After much deliberation, youve decided to incorporate submerged and above ground, vegetation shelves in to your propertys landscape. Congratulations, excellent choice and were sure youve got questions about pulling it all together. After all, the shelves arent going to build themselves and youre going to need more than just pond liners. Wed suggest super heavy-duty, mesh shade, chemical resistant and economy tarps. Theyll help move the soil, rocks and lawn debris around during the construction process. Hay tarps may turn out to be beneficial too, especially if you plan on putting grass seed down in certain areas. The hay will protect the seeds and the covers will keep the bundles safe until youre ready to break out the spreader. As you excavate the pond, dig out earthen shelves and buttress them with brick pavers or bluestone slabs. Theyll have to be strong enough to withstand the weight of plastic pots filled with plants and other pond life as well as normal water pressure. Once the stone or paver lined shelves are in place, cover them thoroughly with tear resistant pond liners. The liners will hopefully prevent the shelves from deteriorating or shifting under the weight of normal use. Next, place the planters on to their respective shelves and arrange them as desired. 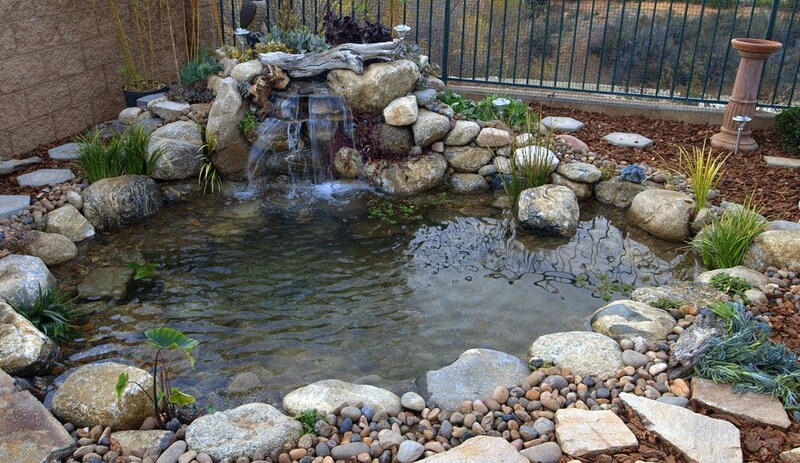 Most pond builders tend to go with at least four layers of water plants but it isnt mandatory. The layers include marginals, oxygenators, rooted and rootless floaters. And dont forget that many aquatic plants will reproduce unassisted by humans. So, dont overload the shelves during the construction process. Otherwise, unpleasant maintenance problems are sure to follow once the plants start reproducing on their own. To learn more and have all of your pond liner questions answered during the design or construction phase, please contact Canopies and Tarps today. Inferior pond liners have a reputation for breaking down in more ways than one. To begin with, they may split, tear or freeze in response to environmental factors. Obviously, that will lead to leaks but it may also result in chemical related damage. For instance, the dyes and chemicals used to manufacture the materials could leach out into the water. If that happens, the aftereffects may show up immediately or over time. Oftentimes, the list of related effects includes both plant and fish kills. The damage may also extend to amphibians, reptiles, birds, butterflies and mammals that choose to visit the pond too. Plus, chemicals added to the pond could work their way through the holes and contaminate the soil or ground water. Examples of toxic pond chemicals include, but are not restricted to bleach, bromides, algaecides and pesticides. Clearly, depending on the extent of the breach, they could unintentionally cause health problems for many living things. Top quality liners, on the other hand, are less likely to leech, leak, rip, split or freeze. As such, living things that rely on the area for food and water have a better chance of avoiding accidental poisonings. Also, there is traditionally less maintenance issues and flooding problems to deal with as well. To learn more, please contact us for the most information and best prices on high quality pond liners in the United States. 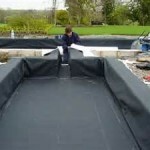 Our top shelf pond liners ship quickly and may be cut to suit a variety of water body dimensions. This entry was posted in pond liners and tagged pond liners on February 4, 2016 by Canopies Tarps. World Wildlife Conservation Day 2015 is fast approaching. It is slated to fall on Friday, December 4th. So there is still time to purchase pond liners. What dopond linershave to do with World Wildlife Conservation Day? Not surprisingly, they have a lot to do with it once endangered, wetlands species are taken into account. TheUnited States Department of Natural Resources Conservation Servicepoints out that there are many creatures and plants living in wetlands environments that need our protection. Why? For one, their natural habitats are either dwindling in total number or decreasing in acreage. Thus, people who invest in pond liners and take affirmative action to address those deficits are doing a great service for wetland species everywhere. For instance, in our home state of California, the United States Fish & Wildlife Service lists a little more than a dozen butterflies that are endangered. Among them are the El Segundo Blue, Delta Green, San Bruno Elfin and Langes Metalmark. So, residents who dig out their own ponds could help those species of butterflies by planting vegetation around the water thats known to support them. A few plants that would be perfect are sedums, seacliff buckwheat, water-parsnip, Dutchmans pipe, calico flowers and spicebush. Of course a number of additionalitems could be added to attract other endangered species known to live in our state too. A few pond visitors to think about are southwestern willow flycatchers, assorted foxes, salt marsh mice, northern spotted owls and riparian brush rabbits. Our off-the-shelf and custom pond liners come in a number of sizes. So, no matter how many species of flora and fauna people want to save, its a surety that weve got a pond liner to accommodate them all. To speak with our pond liner experts before December 4th arrives, pleasecontact usat Canopies & Tarps toll-free or via our online store. This entry was posted in pond liners and tagged pond liners on January 14, 2016 by Canopies Tarps. Do All Water Level Fluctuations Require New Pond Liner Installation? Does it seem like the water level in your propertys pond is dropping abnormally fast? If so, perhaps the pond liner has sprung a leak. To find out for sure, its best to survey the area and take what you find into account. After all, sometimes it isnt the pond liner thats to blame. The fluctuations could be caused by surrounding trees, local wildlife, drought, normal seepage and evaporation. If none of those conditions are present and the ponds water level has dropped more than a foot in a months time, chances are it is an actual leak. It still may not trace back to the pond liner through. Why? Leaks may also be caused by faulty embankments, broken pipes and dislodged rip-rap. Therefore, wed encourage you to review those areas before assigning blame. Oftentimes, correcting those types of leaks involves nothing more than new pipes and soil additives. For instance, we have known farmers who quickly repaired their ponds leaks with dump trucks full of bentonite, sand and rip-rap. Of course not all property owners have been so lucky. In other situations, the installation of concrete support walls may be needed. Should a check of the shoreline and plumbing system turn up nothing, smile at your good fortune. 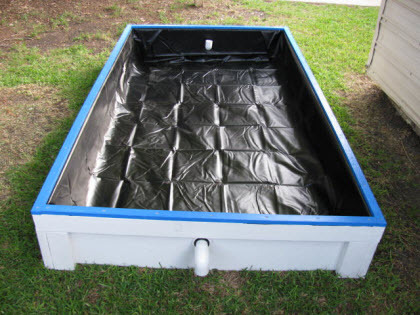 Then consider draining the water and having the pond liner replaced with one from Canopies and Tarps. Choose one that is compatible with your propertys soil makeup as well as the ponds primary purpose. For example, our 30 mil liners are ideal for heavily used properties laden with rough soil. Theyll resist all of the organic materials known to cause pond liner damage as well as hold up to heavy human or animal traffic. Once the new material is in place, shore up the support walls for good measure and refill the pond with water. For more information about addressing pond leaks with our 30 mil liners, please contact us online today. 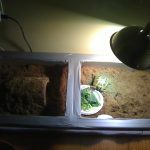 This entry was posted in pond liners and tagged pond liners on August 27, 2015 by CanopiesAnd Tarps. Pea green water is never a good thing, especially if its located in your containment pond. It is generally indicative of a string algae problem and that could spell disaster for your pond liners. Why? Its simple. String algae removal methods most aquatic experts recommend have a strong chance of tearing or eating away at the liner. Of course thats providing the pond liner youve installed in your propertys containment area isnt tear, puncture or chemical resistant. 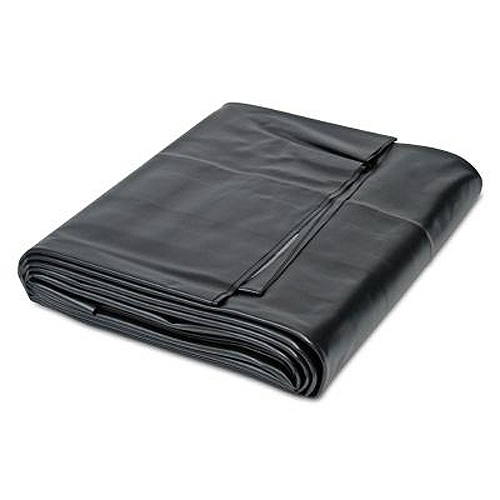 The good news is chemical, tear and puncture resistant pond liners are readily available at Canopies and Tarps. So if your string algae removal efforts actually result in collateral damage, finding a better replacement wont be hard at all. Now even though our pond liners are tough enough to survive skirmishes with string algae, we still recommend using caution. Choose weekly algaecide treatments that are eco-friendly as well as watch those phosphorous and pH levels. Furthermore, bypass the sharp-edged algae rakes and go for ones with smooth tines instead. You might also want to think about taking those bales of barley out from underneath of your propertys hay covers. Historically speaking, barley bales stored underneath of our companys hay covers are extremely effective weapons in the battle against string algae. Ask old-time farmers and theyll gladly tell you that the bales serve two purposes. Once submerged in containment ponds, theyll act as natural filters and emit one thing string algae cant stand, hydrogen peroxide gas. And no, it wont harm your pond liner or need removal. Remember barley and hay bales are both biodegradable. Thats one of the reasons people protect them from the elements with our hay covers. If feel that your current cache of pond liners and hay covers isnt enough to win the war against string algae, dont worry. Weve got more. To place your order and better prepare for battle, please contact us today. This entry was posted in pond liners and tagged pond liners on June 25, 2015 by Canopies Tarps.